The Annual membership fee is due in January of each year. Membership fees paid during the year are valid up the the end of the same year when paid. 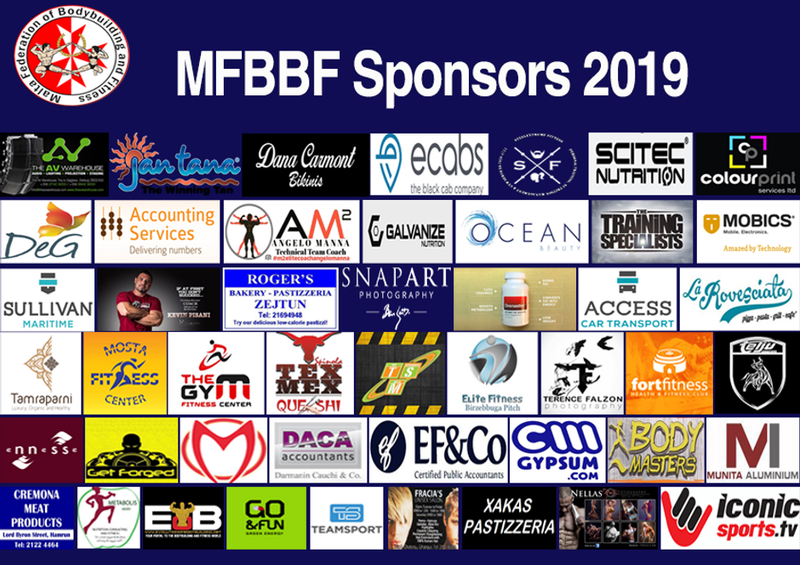 Membership is open to both competitive and non-competitive athletes and members of the public and includes benefits like access to seminars, social events, other activities organised by MFBBF and regular updates. Athletes who participate to competitive events are required to submit their registration for the event within the time frame stipulated for the specific event and late entries will not be accepted. Information about upcoming events can be found in the news and/or event pages. Both membership and contest registration forms can be downloaded from the links on the right hand side of the screen. The duly filled in forms together with the payment due can be mailed to the postal address indicated on the form or handed in at an MFBBF event or meeting. To participate in IFBB International events athletes must qualify through the National Championships. Written request must be forwarded to the General Secretary for approval and submission of the entry forms for the event up to two weeks before the contest's deadline for the submission of the aforementioned entry forms. The Federation reserves the right to request a form check before participation to international events and bar the athlete from competing if not in appropriate form.